For sale we have a 2019 RAM 1500 Crew Cab Big Horn. This is a like brand new 1 owner with only 1,000 miles! 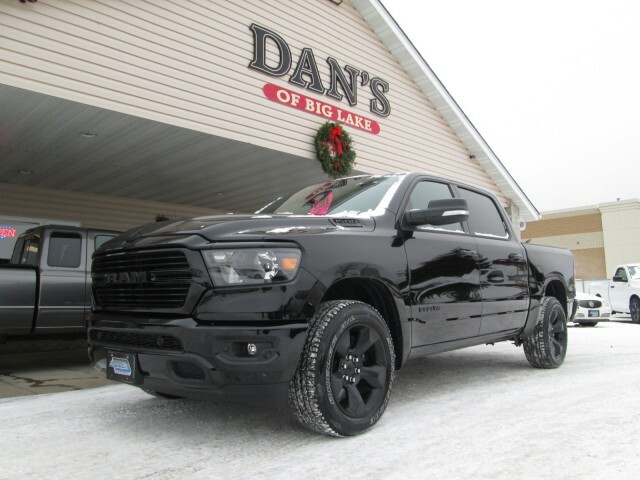 Fully loaded with 5.7L Hemi engine, 4WD, power seat, heated seats, heated steering, touch screen radio w/ c.d/mp3/usb/aux, bluetooth, keyless entry w/ remote start, back-up camera w/ sensors, power adjustable pedals, tow pkg, power windows and locks, cruise, tilt, air and so much more! Priced at just $39,900!